It lies behind stars and under hills, and empty holes it fills. It comes first and follows after, ends life and kills laughter. 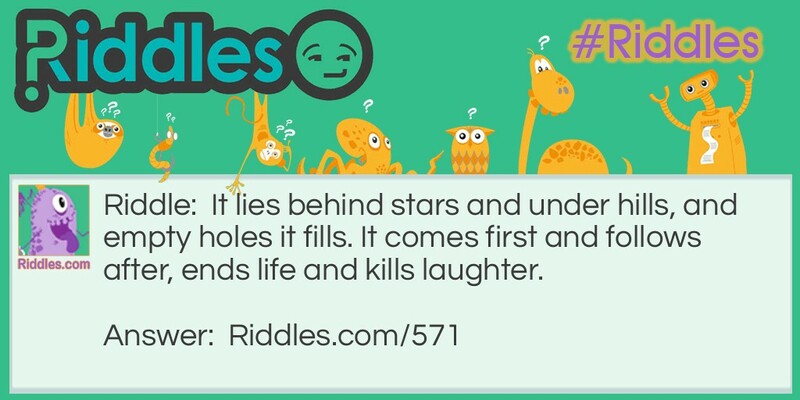 Kills laughter... Riddle Meme with riddle and answer page link.